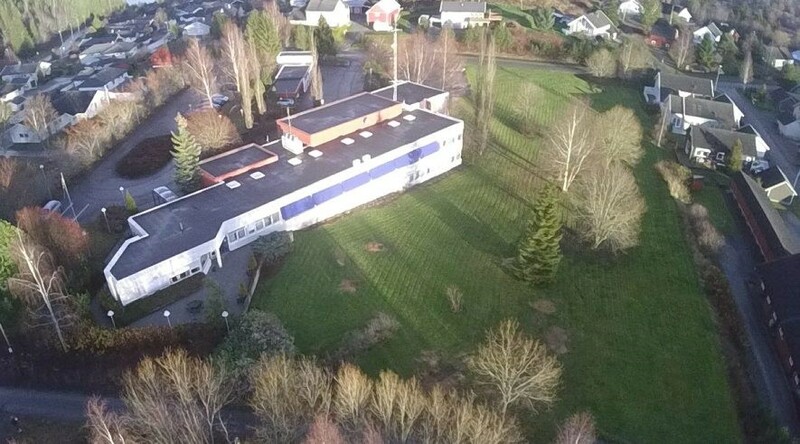 In Steinkjer, the ZEN pilot project is planned on the site of a former office building, with the establishment of a kindergarten and about 10-12 residential units on the site. The site is about 11 113 m2 and located 1.5 km south-west from the city centre, in an area called Lø. Surrounded by a school and several detached houses, the area is a typical suburban residential area. The site lies outside the concession area for district heating. Involved Stakeholders: The project owner is Steinkjer municipality with the department of social development as the responsible unit. It is planned that the public-owned land development agency Steinkjerbygg will develop the land in cooperation with private entrepreneurs. The local energy agency NTE and a network of regional IT start-ups, the Smart Grid Cluster, are participating in the discussion about the future development of the site. The goal of the project is to develop a kindergarten and a residential area that provides a good environment for the users and is accepted by them. The project has the ambition to establish a small ZEN site. Exchange of energy between the buildings and a common energy central with solar energy and wastewater heat as energy sources. Use of the regulation framework for public acquisitions as a tool to require high standards during the construction process with regard to ZEN. Early and open dialogue with potential project partners.